Winter, it is well-known, is the season where most people feel cold and miserable. While you should naturally make sure that your house is well insulated against the freezing temperatures, there is more than one way to keep a warm house in winter. The Danes have perfected the warm coziness to a lifestyle ideal for the rest of the planet. Hygge has become a trendy interior décor for homeowners. But what does it take to modernize the traditional Hygge sense of décor and to experience this happy lifestyle fully? Here are some essential tips to be warm in style! If you remember a previous article on the blog, setting a Hygge-like décor in your house requires a certain sense of involvement. You need to genuinely make the place loveable, and that only happens by being proud of your room. This means, while naturally keeping a clean and tidy place is important, it also should feel comfortable. For Danish houses, a good flooring is an essential part of the tradition, whether you choose laminate parquet or even a thick rug, what matters is that the room should feel homely. 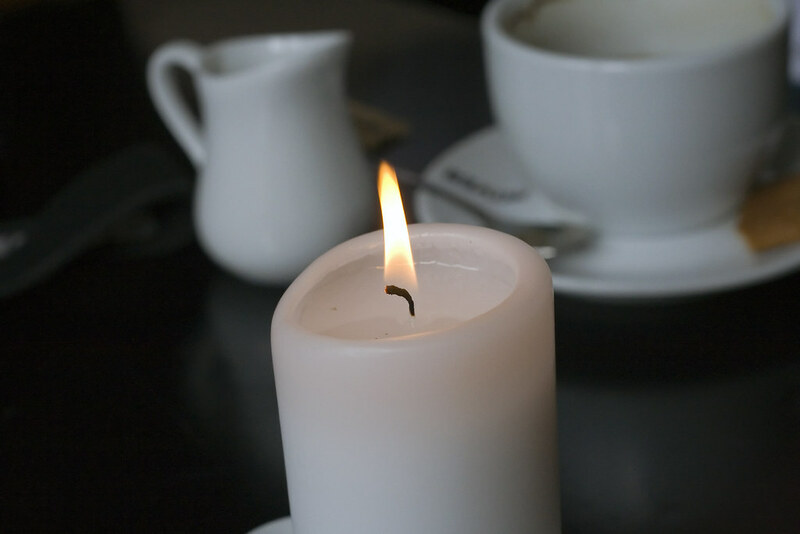 Set a cozy ambiance by using candles, especially Scandinavian candles which are only subtly scented for best effect. You need to be able to dim the lights as well, as Hygge refers to the cozy and homely feeling at the end of the day in winter. So, you are far from the bright sunlight of summer! If you have seen pictures of the ideal Hygge house décors, you would have probably noticed that these tend to use a hot fireplace as the center of the attention. Unfortunately, if you live in an apartment or a new built house, it isn’t easy to get a fire going for the perfect Hygge because you simply don’t have a fireplace. Don’t worry; there are alternatives! A warm heating system is all it takes to feel cozy. But if you are set on a fireplace, you should have a look at the FireplaceGuide for electric options that are not only 100% safe to use but also easy to install. Electric fireplaces look just as fantastic as the real thing, but they are a lot cleaner and require a lot less maintenance. So it’s a win-win! Hygge, as you know, is about coziness. So to put it, in other words, you can’t Hygge around a salad. You need to think of comfort food that would be common in Denmark. This involves only easy and simple food, such as baking a cake or warming up the bread in the oven. If you have jars of preserve or jam, they are completely right for the feeling you are going for with Hygge! All you need to make it perfect is to prepare a fresh pot of coffee and to invite a few friends for a night of chat and games. Keep the conversation friendly and respectful, by giving everyone the chance to talk and laugh. This is the way described by Michael Booth in The Almost Nearly Perfect People: Behind the Myth of the Scandinavian Utopia and this is why Scandinavians are said to be happier than others. The love of simple pleasures brings them together!